Laguindingan International Airport is the airport name when you’re flight is bound for Cagayan De Oro or airport code: CGY. Contrary to what most people believe, is not located at Cagayan de Oro City but in the Municipality of Languindingan which is 30 mins away from the Cagayan De Oro. It is now that the entry and exit for air travel for Northern Mindanao Philippines. When Laguindingan International Airport opened, and received its first inbound domestics flights last June 15, 2013, commuters from Cagayan De Oro and Iligan City has been hesitant as to transportation arrangements that would accommodate them. Here is a detailed guide on how to get to, and from Laguindigan International Airport if you’re going to or coming from its neighbouring cities Cagayan de Oro City and Iligan City. Baggage Allowance: Passenger is allowed to bring only one carry-on, and one luggage with no weight restrictions. Balikbayan boxes, or packages large enough to occupy one seat is allowed, and is charged with rate equivalent to one person or what is appropriate. Baggage Allowance: Passenger is allowed to bring only one carry-on, and one luggage with no weight restrictions. As of the recent revision, I am not sure if this shuttle/van transport that ferries passengers directly from Iligan City to Laguindigan Airport and vice versa is still operating. Baggage Allowance: Passenger is allowed to bring only one carry-on, and one luggage with no weight restrictions, packages, or balikbayan boxes may be charged depending on size. Note: All Super 5 Bus Passengers from Iligan City, and CDO are prioritized of the Airport Shuttle. Just inform the bus conductor that you’re bound for Laguindingan International Airport. 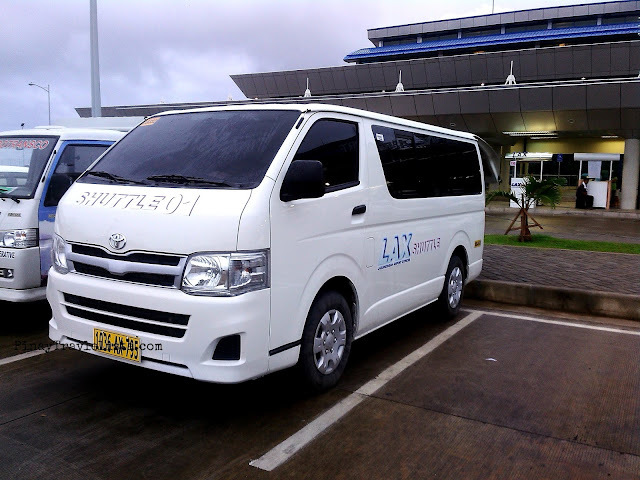 The bus will drop passengers off at the Super 5 LIA shuttle terminal, and their airport shuttle awaits the passengers, and drives them to the airport vicinity. Note: The bus will drop passengers off at the taxi bay at the highway. It is near LIA, and taxi awaits the passengers, and drives them to the airport vicinity. As of this writing, I do not know how much the taxi from this taxi bay to LIA costs. Note: I can not say for sure how much a taxi would charge for a CDO-LIA or vice versa, or an Iligan – LIA or vice versa transport. Flag down rate is still at 40PhP, and then the rate would depend on the distance covered by the vehicle. Other taxi drivers charge passengers per agreed price. You can also ask if they can directly take you to CDO, or Iligan City for an agreed price. For Iligan City bound passengers, rate can start at 1,500-2,000PhP. You can check the vans that transfers passengers to Laguindingan International Airport at their stations/terminals. 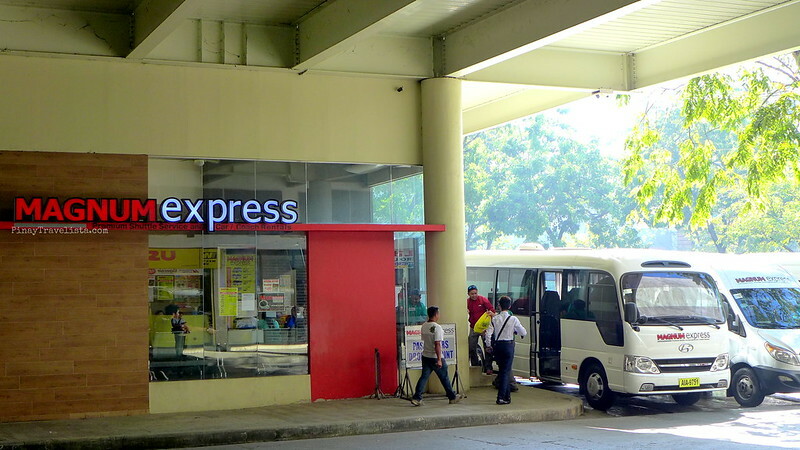 If you’re planning to take the bus, you can take different bus lines at Bulua Bus Terminal, but the Super 5 Airport Shuttle prioritizes their bus passengers. I suggest you take the Super 5 bus line. 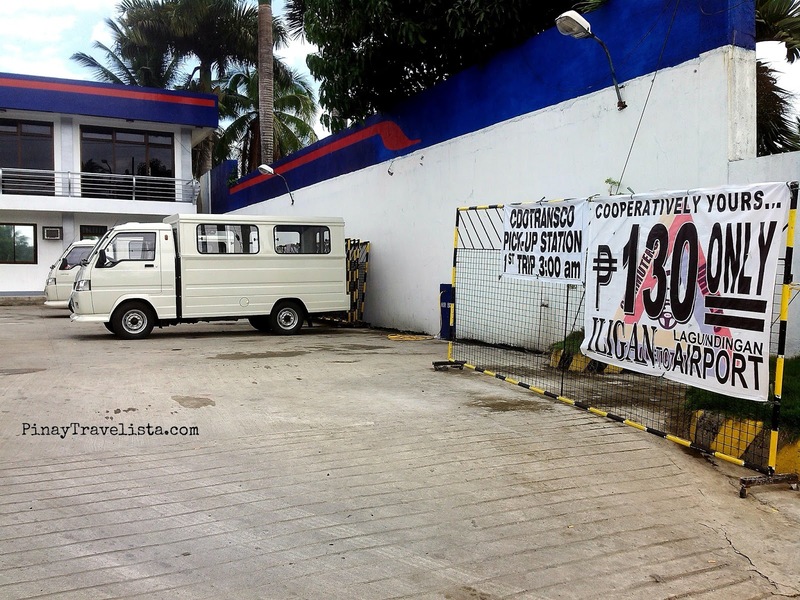 If you just flew in, and your destination is CDO, you can take any van as it will take you within CDO city proper. Choose which van drop off points will be near your destinations. 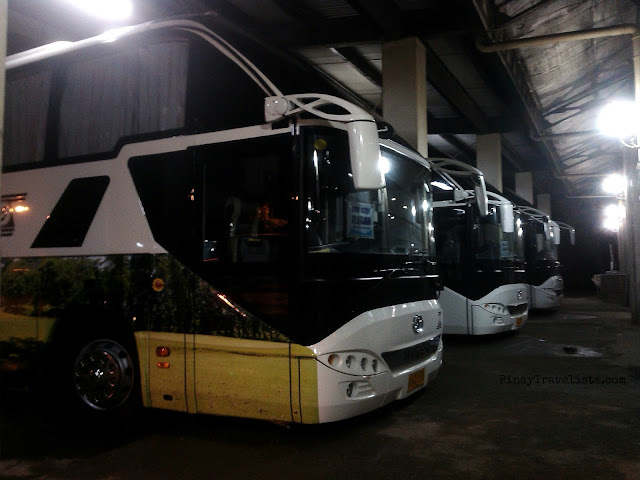 If you just flew in, and your destination is the neighboring place of CDO, you can take the airport shuttle – bus line. It will drop off passengers at Bulua Bus Terminal, and from there, you can take the a Agora Bus Terminal bound jeepneys found inside terminal. ***You can take different bus lines at Iligan City Northbound Bus Terminal, both Super 5, and Rural Transit has their own Airport Shuttles that prioritizes their bus passengers. ***NOTE: From Iligan City, you will take the Super 5, or Rural Transit bus, and be dropped off at their terminal at the national highway where the shuttle will pick you up. From the Airport, the shuttle will only take you up until the their terminal at the national highway where you will wait for one of their buses to accommodate you. *** Super 5 bus lines has new, and clean bus, and I love this bus line for their strong marketing skills, but I have a problem with their bus intervals, of which they (most of the time) wait to have all bus seats filled before going. For a traveler, this can be very frustrating to be told of a 15 minute interval, only to check your watch that it’s has exceeded that. I suggest you do an early head start to make sure you get to your flight on time. Unfortunately, as of this updated writing and revision, I have not yet tried the Rural Transit Bus – Airport Shuttle transfer. ***Rate will be the same as you travel from Iligan City to Cagayan de Oro City. A bus stop is intended for all other bus lines (except Super 5) where Taxi wait. No shuttle/vans are available at this bus stop. ***Flag down rate is still at 40PhP, and then the rate would depend on the distance covered by the vehicle. Other taxi drivers charge passengers per agreed price. ***The only transportation that directly ferries the passenger from the airport to Iligan City. Vans are small (multicab vans) but they do not wait out for the all the seats to be taken. This one is ideal for large groups, or travelers with balikbayan boxes, or large baggages. You can ask to pay for the whole van to take you to Iligan City, and also ask them to take you to your home/office address to help you with your stuff. ***For travelers new to Iligan, I like that CDOTransco would drop the passengers off as far into the city proper at Gaisano Mall, or take you to your home/office address for large group/families. Please check out destination posts HERE, these might help you on your travel destination around Northern Mindanao.